Speake-Marin founder Peter Speake-Marin says: “The notions of rediscovery and reinterpretation have been central to Speake-Marin’s rebirth and these themes were at the forefront of my mind when I designed the Classic HMS. Classic HMS indicates the essential information needed to know the time – Hours, Minutes and Seconds – providing a horological purity that is complemented by the elegance of a remarkable, multilayered dial, available in two options. The silvered dial features a raised outer ring that has been circular grained by hand. 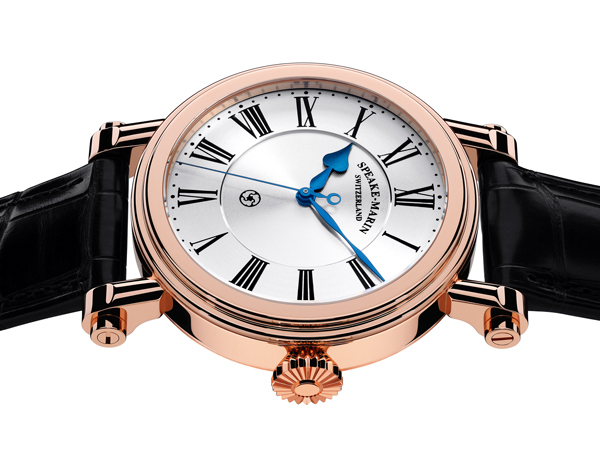 The smooth, flowing effect afforded by this superlative fine finish contrasts superbly with the lowered centre’s fine, spiral guilloche that catches the light and brings the face of the timepiece spectacularly to life. The white-lacquered version is pure and bright, featuring the same multi-layering that creates an eyecatching dial profile. Classic HMS is available with either a casual, stainless steel or a sophisticated, red gold Piccadilly case. 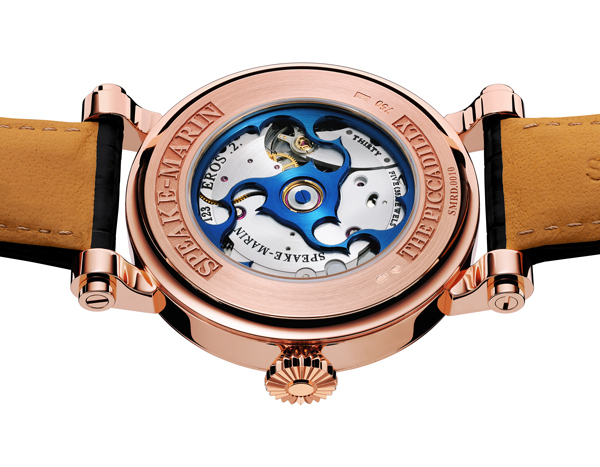 At first glance the three-piece case appears similar to the original Piccadilly that Peter Speake-Marin developed over a decade ago and from which the design of Classic HMS draws its inspiration, but on closer inspection it can be seen that this case is much slimmer – just 12mm in height and 38mm or 42mm in diameter – an elegant design made possible by the new Eros 2 calibre. Classic	HMS is	available	with either a	stainless	steel	or	18K	5N	red	gold	case	in either	38mm	or	42mm	diameter.